A friend of a friend was going through his photos from last year’s hunting season and found this pic. 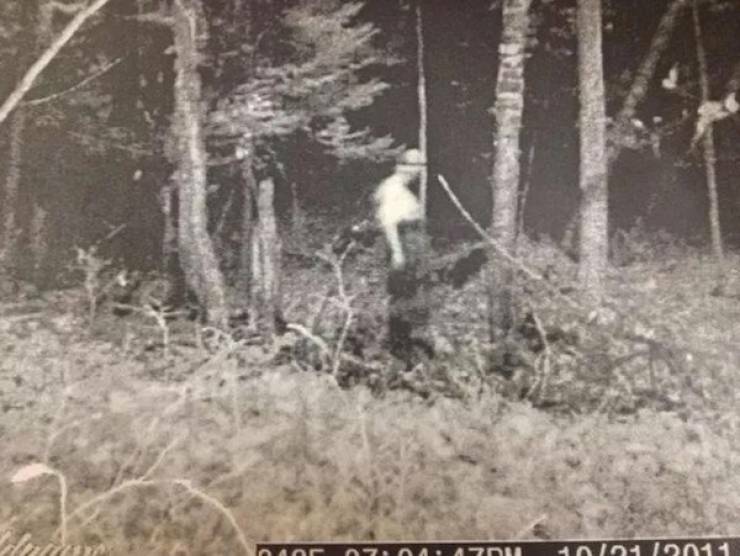 He says the trail cam is activated by movement yet there were no pics of the entity anywhere else except in this photo. If it were a person there would have been several photos where the person entered into the vision field of the camera, yet only this photo was taken. The area in which this photo was taken is on private hunting property miles from any residential areas in Northern Michigan. Also at the end of October it is usually quite cold and pitch black dark out where this photo was taken.